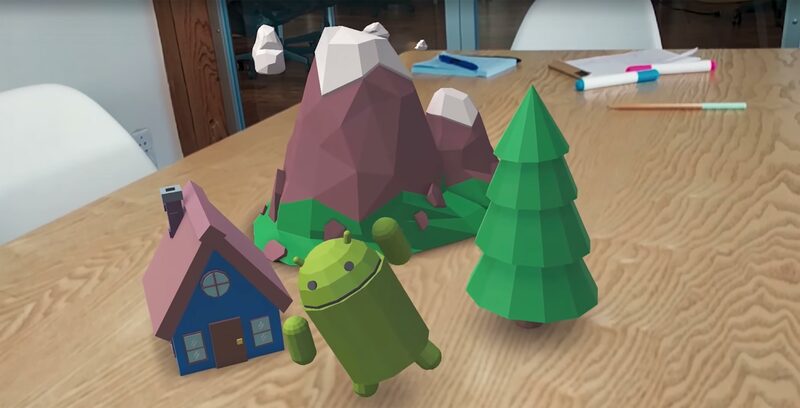 Google has announced ARCore, a successor to its augmented reality platform Tango. Originally released in June 2014, Tango offers developers a suite of highly advanced AR tools, although the platform was significantly limited in the number of devices in could run on. Currently, Project Tango is only supported by the Lenovo Phab 2 Pro and the recently released Asus ZenFone AR. Motion tracking: Using the phone’s camera, ARCore can determine both the position and orientation of a moving phone, all while virtual objects remain accurately placed. Environmental understanding: ARCore can detect horizontal surfaces using the same feature points it analyzes for motion tracking. Light estimation: ARCore observes the ambient light in an environment to allow developers to light virtual objects in ways that that match their surroundings, all to help create a more realistic appearance. ARCore will help Google be more competitive in the AR space, as Apple’s upcoming ARKit platform will run on millions on iPhones. Google says it will reveal more about ARCore later this year. In the meantime, the company is asking for users to share their thoughts on the platform through Github.